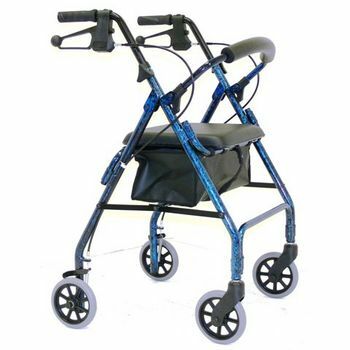 A lightweight narrow framed wheeled walker. Great for those who require a smaller walker. Features include lower seat height, adjustable handles, locking handbrakes, basket and padded backrest.